See below: 1) A comparison between Tumblr and WordPress blogging platforms, 2) 7 ways to increase conversion rates of your blog, 3) Tips on how to build better product pages on your e-commerce store, 4) A case study on how to get your first 100 paying customers, 5) How to use promotions to help you encouraging your customers all the way along your funnels right to your checkout page. Best way of selling somehting: Don’t sell anything. Earn the awarness, respect, and trust of those who might buy. 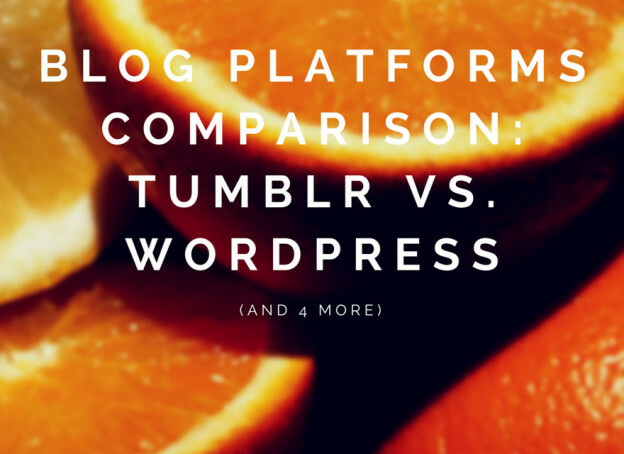 Which Blog Platform is Right for Your Business? – The two biggest platforms for blogging are Tumblr and WordPress. If you are about to start a blog, it’s important to choose the one that best meets your overall goal. Each of these platforms caters to a different type of audience. Explore here an article on both platforms to help you choose the right one for your business. 7 ways we increased our blog’s conversion rate by 260% – Writing great, ever-green blog posts is a very good idea. However, sometimes we forget about the most important element of content marketing: Converting blog readers into users and paying customers. These are 7 actionable ways to get readers more engaged with your brand. 5 Tips for Product Pages that Actually Sell – If you’re not achieving great results with your e-commerce product pages, it may be time to analyze how the pages look like and how they sound. Consider these 5 tips that might increase conversions. How We Got Our First 100 Paying Customers in 24 Hours – This interesting blog post will guide you through how a startup like Groove (help desk software) thrived and succeeded. You will learn concepts about early customer development, networking, marketing and PR, and how to apply all this to your business. 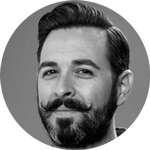 Do Promotions Really Increase Your eCommerce Conversion Rates? 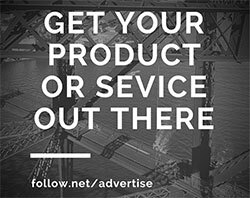 – According to this article, “50% of consumers make a purchase only when an offer or promotion is involved.” Promotions can be a very powerful tool that can help you encouraging your customers all the way along your funnels right to your checkout page where there is a promotion offering them a reward for making the purchase. This entry was posted in Customer Acquisition Strategies and tagged blog, blogging, blogging platforms, comparison, conversion rates, customers, e-commerce, funnels, product pages, promotions, sales, store, Tumblr, Tumblr Vs. WordPress, WordPress on March 9, 2015 by Davide Di Prossimo. In my opinion WordPress is better not just than tumbler but also from other CMSs. WordPress and Tumblr are two distinct types of blogging platforms. WordPress is the most renowned, reliable, and simplistic blogging platform which offers its audience two different flavors, WordPress[. ]com and WordPress[.]org. WordPress[. ]com is a free hosted service, which offers no initial setup by its users. While working on it, you get a blog with assortments of themes & plugins. Some themes are free to use whereas some chargeable. Apart from this, various third party sources such as http://nullednet.com/category/themes/ and more also serves free themes for WordPress users. WordPress[. ]org is an open source software, which users can also install locally. Talking about Tumblr then it’s a blogging platform, which is mostly used by fans of photography, music, and video. Tumblr holds very simple and minimalistic user interface, post types, and options.